To help in the fight against cancer, MC Electronics has produced complex cable solutions for radiation therapy equipment for over 30 years. These increasingly sophisticated systems must operate with pinpoint accuracy and the highest degree of reliability for successful outcomes. Understanding the life-threatening aspects of these applications, MC Electronics uses the latest technology to assist in the design and manufacturing of cable assemblies and wire harnesses to support and ensure the required level of quality for the leading OEMs globally. 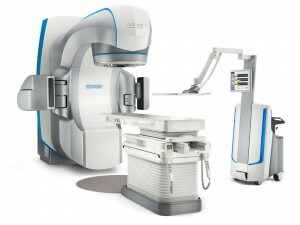 These fully integrated and image-guided radiotherapy and radiosurgery systems use hundreds of cable assemblies and wire harnesses from high voltage pulse cables with custom electromagnetic shielding, high flexibility, rapid movement with robust connections to the latest in fiber optics. MC Electronics also supports the installation and field service of these systems by providing custom-fitted cables and specific power configurations for hospitals and clinics all over the world. To get your Radiation Oncology project started, contact our sales staff or request a quote today!